4602 16th Street, Boulder, CO — $525,000 – SOLD! 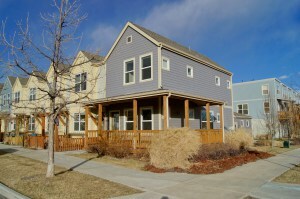 | Kearney Realty Co.
Neil just listed this great townhome style condo in North Boulder. This unit has so many great features! It’s a three-story end unit that is filled with light, tons of windows. You’ll find high end finishes which include: quartz countertops, real hardwood floors, stainless steel appliances, upgraded cabinets, nice tile backsplashes and flooring, 2 en suite bedrooms upstairs, unfinished basement-great for storage or ready for you to finish, upgraded window coverings, detached garage right out the back door, cute covered front porch. Great North Boulder location. This one really shines, check it out!